I took time out from exam preparation to catch the end of the college conferring ceremony yesterday and I’m glad I did. 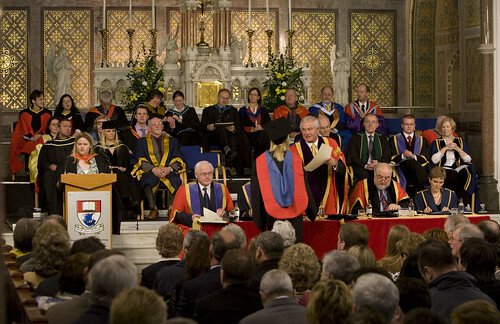 As well as the great atmosphere, the beautiful chapel, the students and their proud parents, there was a nice surprise – one of the first students I ever taught at WIT was conferred with a PhD (help I’m getting old). 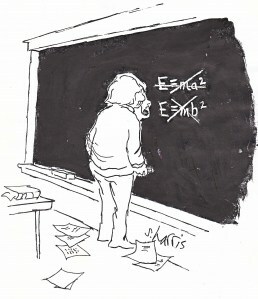 Today, its back to earth and back to work on those pesky exam questions. However, 24 hours from now, I’ll be airborne – en route to Portugal for a few days break with The Surf Experience, hurrah! Me and my laptop, that is. There’s plenty of work to be done, but it’s as easy to do in the peace and quiet of lazy evenings in the surf lodge as in a busy office in rainy Ireland. Plus, one of the chief instructors at the lodge is doing an Open University course in fundamental physics – we always have great discussions on particle physics, string theory and the mysteries of the universe! Is science influenced by politics?